So you need a valet to park your car as you attend important events or meetings? The Luxe app may be just what you need. 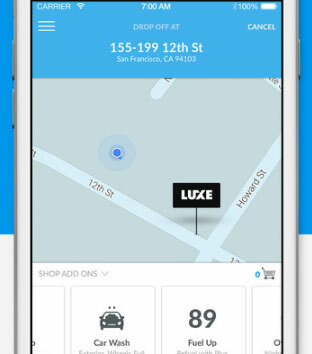 It is an on-demand valet parking app that lets you request a valet to park your car wherever you are. These valets park your car in a secure garage and bring it back to you when you are ready. To get started, open the app on your smartphone, enter your destination, and request a Luxe driver. Not only your car is parked in a safe spot, it is also filled with gas or washed, depending on what you need. Luxe is available in San Francisco, New York, Chicago, Seattle, Austin, Los Angeles at this time.